Be inspired By our Fusion range of patterned vinyls. Designed By Austex Fabrics in a growing collection of classic and contemporary designs, Fusion is an ideal choice where cleanability is a concern. Unlike coated fabrics, our Fusion is pvc based and is then tailor- made to the requirements of our customers. 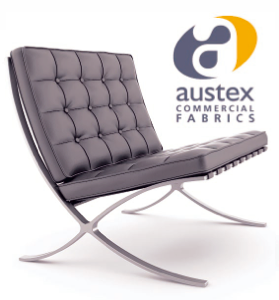 For more information of these products, please call Austex Commercial Fabrics on 03 9484 9744. Plush’s unique construction is like no other synthetic product on the market today. Plush has a solid 100% P.U. surface that outperforms all other synthetics. Unlike other traditional P.U. that do not stretch, Plush has been developed with a unique four way stretch enabling it to be upholstered in any shape or form. Plush has also been developed with a protective barrier that provides resistance to chemicals and stains. Greenguard enables the P.U. 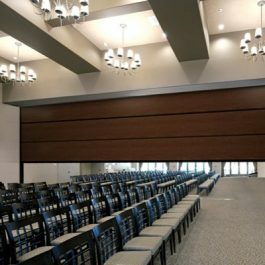 surface to be cleaned with bleach or alcohol based solutions without damaging the surface and also protects the surface from abrasion and scuffing making it the ideal choice for commercial and healthcare applications.